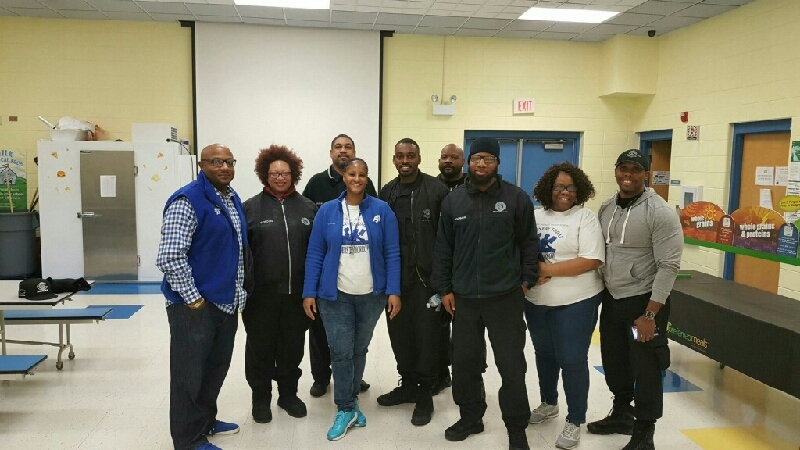 Cook County Juvenile Temporary Detention Center (JTDC) Supervisor Brandon Etheridge was recently invited to General George Patton Elementary School in Riverdale to speak to the youth that had been engaging in at-risk behavior. Among the JTDC staff that accompanied Etheridge to the school on Friday, Feb. 10 were YDS James Barsh, RT Shawn Phillips and RT Martin White. 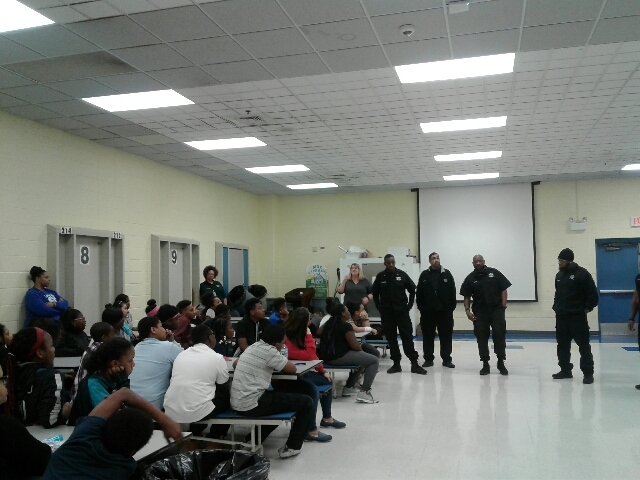 The group spoke to approximately 65 students regarding the history of JTDC, behaviors that can warrant admission into JTDC and what resident daily life is like. They also discussed how important it is for the students to make positive decisions as they become older to prevent them from ever becoming residents at JTDC. Etheridge said the faculty at Patton Elementary School were delighted with the presentation and have invited the JTDC to come back to their school at a later date. “I would like to extend my sincere gratitude to all of you for your support in making this outreach program a success!” said Etheridge in an e-mail to the staff.